What Are We Going To Do With Old Missionaries? 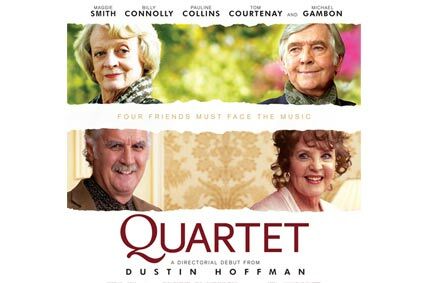 Sherrylee and I saw a delightful movie last night, Dustin Hoffman’s directing debut film Quartet. The story revolves around about fifty residents of a state-run retirement home in England. All of these residents were once renowned musicians, but are now reduced to trying in their dotage to put on a gala fundraiser to save their home. What makes this film unique among a growing number of films about paleo-aged people is that it is not about dying, not about dealing with long-term disease, and not really about dealing with a world that has passed them by. It is about living! One day the most famous operatic star (Maggie Smith) of her time steps out of the minivan to enter the home. She brings her reputation as a diva as well as her personal history into an established group of her former peers, which stirs up old rivalries as well as old passions. Her colleagues need her to recreate her part in the Quartet from Rigoletto by Verdi, along with one patient whose mind is slipping (Pauline Collins), one who continually crosses social boundaries of propriety (Billy Connolly), and her ex-husband (Tom Courtenay)—and therein lies the tale. You’ll laugh, cry, be mildly embarrassed, but mostly be touched by the joy, the love, the drama of these extraordinarily talented people. And you will love the music! What do we do with old missionaries? Sorry, I couldn’t help but going to this question. The most fortunate old missionaries have found a Christian college that gives them an office and an occasional class, where they can share what they have learned and experienced with students barely able to appreciate it. Some are able to preach for a church—usually a small, rural church. These churches are often older people, so they don’t mind the slower pace of an older preacher—and they don’t mind the stories of other places. Some just vanish! Yes, they just disappear. Occasionally they quietly return to their foreign home, where they work very quietly, living on social security checks or very small support from many small churches who remember their reputation for greatness. And they live there until they die. Others vanish in the States. They have no retirement, maybe not even social security since they lived out of the country for so long. They live with children or on charity. I’ve heard that a few Christian retirement homes make places for them. We have finally awakened to the need for missionary care, both for those workers currently on the field and those who have recently returned, but are we not missing a great opportunity to draw on years of experience and continents full of wisdom and hearts full of love for lost souls? In Quartet, these ancient musicians pooled their remaining talents and produced a splendid evening of entertainment. What would God’s people do if our ancient missionaries’ talents were pooled? What could we learn? What would we attempt? Where would we go? How much faith would there be in that room? 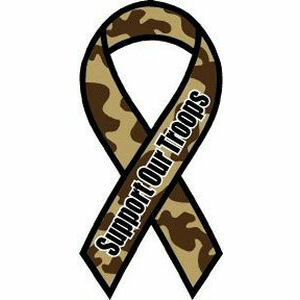 Top Ten Posts in 2012: 1- Do You Really Support Our Troops! I watched the President’s State of the Union speech last night. Very intentionally, President Obama framed his more controversial and political proposals with non-controversial, military bookends. He started with the removal of troops from Iraq and finished with the elimination of Osama bin Laden. At every mention of the troops with their sacrifices and victories, both sides of Congress and all visitors stood and applauded. If there is one thing upon which Americans generally agree, it is that the country stands behind the troops on the ground! Even when we disagree over why they are there or how long, no one ever goes on record saying our soldiers did a terrible job! I couldn’t help but wonder if the American church of Christ feels that same way about its boots on the ground! I’m talking about the foot soldiers we send out to combat the kingdom of darkness all over the world—aka missionaries. Times were when these soldiers of the cross seemed to be highly respected. Missionaries like McCaleb, Shewmaker, Benson, and later Gatewood, Hare, and Bixler were well-known names with heroic stature in our churches. Because of the big splash the Brazil team made in the early sixties and because of their innovative approach, they too continue to enjoy notoriety, especially in older, established churches. I wonder how many of us can name five missionaries that have entered their field in this millennium—or even the last quarter century? Unless you are on a mission committee that sent some recent workers or a teacher of missions, or working in a missions organization, I’m afraid of the results! Because it is now more expensive to go abroad than to work at home, churches are choosing more domestic mission projects. Also because of economics, churches are choosing to support national preachers instead of Americans. National preachers are viewed as requiring much less support, no travel funds, and no benefits! What a deal! Foreign mission work is seen more as a competitor to local work. 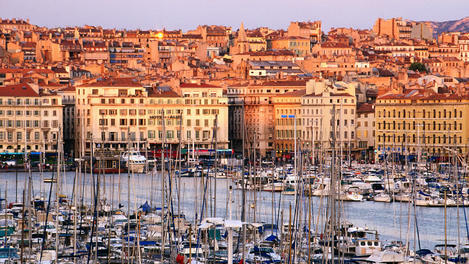 This sometimes has economic roots and sometimes geo-political. When the nation is tired of foreign entanglements, the church becomes tired of them as well. Because of fewer services per week, i.e., many churches only meeting Sunday morning for a general assembly, with other meetings done in classes or in homes, fewer are willing to open their pulpits for missionary reporting. The average member in the pew has very little exposure to the work and sacrifice of current missionaries. Mission work is low on the ladder of ministerial respect. Fairly or unfairly, one hears the comment that people go to the mission field who can’t make it or who don’t want to fit in at home. Test yourself: rank in value to the kingdom the following types of ministers: mega-church preachers, small church preachers, youth ministers, campus ministers, worship ministers, church planters, and foreign missionaries. This list is certainly not exhaustive, but perhaps will stimulate the conversation about missions among us. I would love to see the day return when foreign missionaries are greeted with standing ovations, when churches line up to invite them to speak of their work, when mission committees bang on the doors of Christian colleges and missions organizations, looking for good people to send to their mission points. What can you do to raise the stature of those soldiers of the cross who serve faithfully and sacrificially in the spiritual battlefields of this world? Do You Really Support Our Troops! 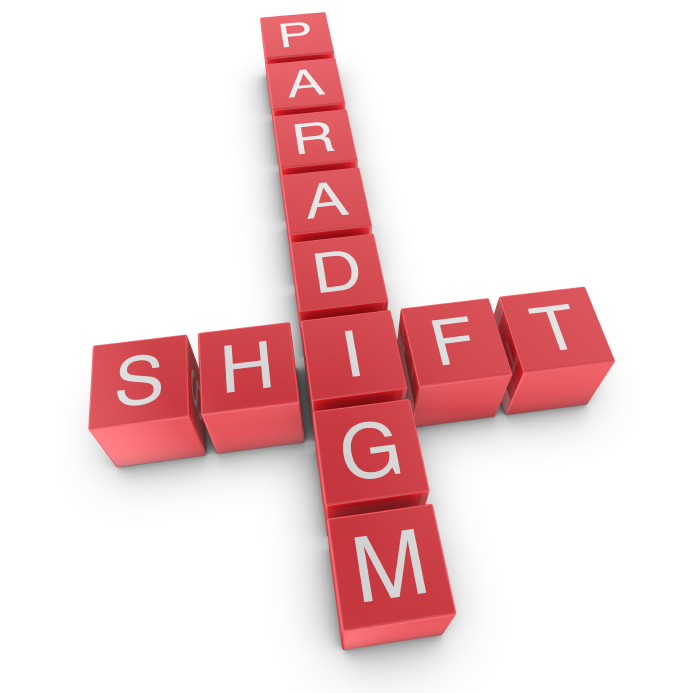 Rethinking Mission Work, Part 8 – Building A Clear Path! I was at the Ballpark in Arlington last night for a Ranger game. You may have seen it on the news because a severe storm hit in the fourth inning, one that brought high winds, heavy rains, hail, and the threat of tornadoes! About the second inning they asked all the fans in the upper deck to move to a vacant seat in the lower stands, so almost everyone in the ballpark tried to move to a better seat! The instructions for determining which seats were vacant and could you move into the seat by Nolan Ryan were very unclear, which caused obvious confusion. A bit later, the officials cleared the lower stands, but with no explanation. Still later, I noticed lots of fans being taken down the stairs, through the dugouts into the tunnels under the stadium—not all of the fans, just some! Not us! My father-in-law and I moved from the second level down to the ground level on our own initiative. But during the most serious part of the storm, when some were going underground, we stood with thousands of others just looking around waiting for someone to tell us either that we were OK or that there was a safer place to which we should go. No one ever told us anything! We survived the storm just fine, but it did remind me that without intelligible guidance and a clear path to follow, most people will just stand around helplessly. My goal in this series of posts on Rethinking Missions is to suggest a generally clear path that we as a fellowship could encourage hopeful missionaries to follow, with the goal of having more people go into all the world, making disciples and baptizing more people! If you don’t mind, I want to just use this post to briefly summarize the whole area of First Decisions, which is where we are in the conversation! The desire to be a missionary arises mostly from inspiration either through exposure to others who are missionaries or through personal experience with short-term missions. My suggestion is that the point of inspiration be moved from the Christian college, which is where the majority of opportunities now lie, to the local congregation. Virtually everyone in our fellowship is part of a congregation, so the total number of people being exposed to missionary inspiration is exponentially greater! The inspiration can begin younger and continue through elder years, again increasing the potential number of Hopefuls! Hopeful Missionaries would already have a significant relationship with a congregation, which would make every future interaction easier. Having known the local Hopeful as part of the congregation’s life will help in guiding them through a prayerful selection process. The members of the local congregation will more likely support the Hopefuls from their own congregation, both financially and spiritually. Even if a person is inspired somewhere else–on a vacation, or at a state university, or from a relative who has done a short-term mission–if the local congregation is the first stop in the selection process, this new Hopeful will have all of the advantages of the relationship to their congregation to build upon. And if a person is a new Christian, the immediate, affectionate circle of a local church can close around them and provide good guidance and strong relationships for exploring their desire to be a missionary. how should I prepare to go. Let me suggest a how these stepping-stones to the mission field should line up. What gifts do you have that will be appropriate for this site? What will be the greatest difficulties for you personally? For your work? These kinds of questions will start a great conversation that could certainly lead to a “calling” to a specific site. 2. The selection of a mission site probably will determine the strategy or type of work. If the Hopeful is called to a third world country, then internet evangelism may not be a good strategy! If it is an industrialized country, a well-digging ministry would be equally inappropriate. The strategy for communicating the gospel so that a particular people can hear it should come after a great deal of prayer, of consultation with current workers, after extensive research, and with much guidance. Some knowledge is better learned from teachers than on one’s own. This may include basic Bible knowledge, knowledge of God and how He works, cross-cultural information, leadership skills. With guidance, a Hopeful can know what areas he/she needs special preparation in. Some skills may need to be learned: language may be the most obvious of these, but there may be others: translation skills, musical skills, writing, teaching skills, conversation skills, etc. Experience is often completely lacking! An apprenticeship under a strong Master Missionary will fill the largest gap! Preparation sometimes fills these three gaps simultaneously in an apprenticeship, but often a preparation plan needs to be outlined and scheduled sequentially. The counselors, mentors, and guides gathered along the path can help the Hopeful with this part of the process. What remains to be done is raising the necessary financial support. I have left most money questions untouched because I’m convinced that we have been guilty of letting the money questions control too much of the whole process. Now that we have a path for the crucial First Decisions, we are in a better position to rethink the issue of supporting missions! With the exception of the Antioch church sending out Paul and Barnabas (Acts 13), we really have no model of missions being initiated by a local congregation. Persecution drove Christians out of Jerusalem, and certain people moved between early churches, working as evangelists, but even to the very conservative among us, it should be clear that there is no explicitly prescriptive revelation about how congregations should organize, support, or oversee missionaries. Without crossing the rather artificially determined boundaries of congregational autonomy, and while respecting our historical rejection of missionary societies , I believe we can improve our paradigm for missions considerably. A clear and accessible path through selection, first decisions, and training, allowing more people to become missionaries. More Christians involved both relationally and financially in sending more missionaries. Spiritual, personal, and financial oversight of missionaries by those people in the best position to know and understand both them and the work they do. Elimination of control mechanisms used for mission work driven primarily by financial support. If we can find ways to meet these goals, then I believe we can expect to be a fellowship that is sending many more missionaries better prepared to many more fields, better supported in both visible and invisible ways by many more people who themselves will be blessed richly, all of which will result in the spread of God’s reign on earth. As I stated earlier, most potential missionaries self-select based on inspiration! That a person should strongly desire and feel called to missions, I would consider essential. But I do feel that we can do better in both the areas of selection and inspiration. For decades, the World Mission Workshop for Christian college students has concluded with an invitation to commitment to missions. Literally hundreds of our finest students have responded—although only a handful has actually made it to the field. But what this tells me is that we have hundreds, if not thousands of people in our church buildings right now who have unfulfilled desires to serve as missionaries. Let’s begin shifting our paradigm by making home congregations—no matter the size—the first place of inspiration and where the first opportunities for selection take place. What would it look like if it were the norm in our congregations for children to hear missionary stories, for middle schoolers to make short service mission trips, for high schoolers to move toward faith-sharing mission experiences,–but it didn’t stop there! What if the college students were encouraged and enabled to do longer summer missions, and young families were encouraged to take their children with them on missions, if parents of teens did mission trips with their teenagers, and grandparents took their grandchildren with them. What would it take for your congregation to make this kind of involvement the norm at your church (and, by the norm I mean where those who did not participate were in the minority!)? Every church leader (yes, including ministers and elders) would need not only to affirm commitment, but lead from the front by going and supporting those who do! Intentional planning at every age level for inspiration through every avenue at the church’s disposal. Planting the seeds in the hearts of all new members who become a part of the congregation, whether through conversion or transference of membership. Taking this stance as an ongoing way of congregational life, not a new program. A church—regardless of its size– that created this kind of environment would expect to have many more of its members want to become missionaries! This church is always providing the first seeds of inspiration, and those seeds will be watered and nurtured for years with intentional love. Now, not only is the pool of potential workers much larger, but the first level of the selection process would also be moved into a much more natural and advantageous position! The leadership of the church, the fellowship of believers, all are more intimately acquainted with those of their own who desire to become missionaries, so they can help them evaluate their own sense of calling and provide spiritual discernment that is often impossible to obtain from professors or missions experts who have little if any personal history with the applicant. If the vast majority of missionary candidates were selected first by their home congregations, we could end most of the wanderings from church to church by missionary hopefuls who have self-selected. We would put an end to using the ability to raise support as the primary tool of discernment. Some of you are already sweating heavily because you wonder where all the money is going to come from because your church couldn’t support all those who would want to go! Well, I’m going to just postpone that question for a while—but we will get back to it, I promise. Next we will look at creating a clear path through decisions about which field, what type of work, and how to prepare for the mission. Rethinking Mission Work, Part 1: How Are First Decisions Made? The person who desires to become a full-time missionary supported by churches of Christ has an extraordinarily difficult mountain to climb—unduly difficult—before they will ever reach the mission field. Many never attempt to climb the mountain, and others fall off the mountain in the attempt. The current support/oversight paradigm among churches of Christ discourages both potential and existing missionaries. The results are too few long-term missionaries which means less mission work and fewer souls hearing the story of Jesus—none of which can possibly be pleasing to God! I want to challenge us to rethink the oversight-support model for long-term mission work from churches of Christ and look together at a different model of oversight/support that will lead, I believe, to more missionaries who stay longer and can reach more people more effectively. Let’s first work our way through the whole process of becoming a missionary as it generally happens among churches of Christ. When someone is motivated to become a missionary, he/she/they usually will go through a series of decisive steps before they actually can begin their work. The basis for all of these decisions is usually the point of first inspiration. If they were inspired by a short-term mission experience, then they want to return to the field they first experienced and work in a similar manner to the missionaries with whom they have worked. If they were inspired by a teacher/mentor, they will make their choice based on the teacher/mentor’s experiences. If they were inspired by a challenge or a public presentation, they will look for an expert (mission professor, missionary, preacher, mission organization.) to help them proceed. Decisions about the field of work are most often driven first by inspiration, followed usually by short-term mission experience in a field or a short survey trip. The experiences and information gained are then supplemented with interviews with current and past missionaries to whom the potential worker might have access. Decisions about the type of work are more difficult. First plans are often very broad plans, such as church planting, strengthen the local church, campus ministry, even community outreach. Some plans are method specific; for example, potential missionaries might decide to start house churches, or do children’s work, or do media-based evangelism. First plans made by mission teams are often very personality and role specific. For example, the team might have one couple that likes children, so they will plan to do children’s work, while another team member wants to preach, so they will plan for public preaching. Overall their plans still tend to be broad. Decisions about means and types of preparation depend mostly on those advising the future missionary. Undergraduates/graduate students at Christian universities may begin by taking general mission courses and seeking contact with mentors in mission study groups. Some desiring to do mission work may seek out higher level mission training, for example, through ACU Summer Mission Seminar, SIBI Advanced Mission Training. A few parachurch ministries offer mission training. Continent of Great Cities and Missions Resource Network come to mind right away. Other people will look for short-term internships on the desired field, if possible, with a current missionary. Many will work with American churches—often required by sponsoring congregations– and learn to work with and evangelize through an American model.And there are those who will go with little or no specialized training other than their own life/church experiences. This is especially true of those who are a bit older when they decide to become missionaries. All initiative and initial actions come from the person desiring to become a missionary, who is most often untrained, inexperienced, perhaps not completely educated, but highly motivated. While capable professors, mentors, and friends are available for guiding potential missionaries, the number of options for fields, types of work, and for training are enormous. In my experience, most go along a path of inspiration and least resistance rather than a strategic path. And this is the easy part! Next, I want to lay out the ways we in churches of Christ have typically supported and overseen foreign mission work—and why it is an unsuccessful paradigm.